Machu Picchu (also known as the old peak) – the legendary village wrapped in a mystery evokes numerous memories, yet it is unquestionably one of the most beautiful places I have ever seen. Inscribed on the UNESCO list, Machu Picchu is the best preserved city of Incas. Approximately in 1537 it was abandoned by its inhabitants for still unknown reasons. For more than 400 years it remained undiscovered until 1911 when the American researcher Hiram Bingham discovered this lovely place. Despite the intensive research, the history of the „Old Peak” still remains a mystery. 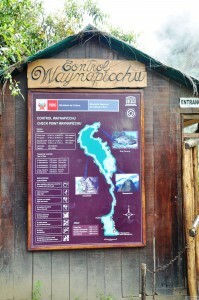 NOTE: Entrance to Machu Picchu is limited (2500 persons per day) therefore it is worth getting tickets well in advance. 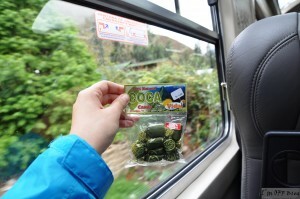 On the www.machupicchu.gob.pe or https://www.ticket-machupicchu.com, you can also buy a combined ticket if you want to conquer Wayna Picchu (the first group starts at 7-8 am, the second one at 10-11 am). The point of departure to Machu Picchu is a charming village of Aguas Calientes. We can get to it e.g. 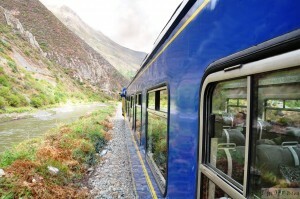 by Peru Rail train directly from Cuzco. Bad luck which was still haunting me brought about rain that washed away half of the track so that trains ran only from the village of Poroy (just a stone’s throw away from Cuzco). My return trip was a little more complicated because the train (delayed 2-3 hours) didn’t come back to Cuzco but to the town of Ollanta. Fortunately, the locals, focused on tourism with the army of minibuses, came to rescue and offered an extra charged trip to Cuzco. There was no another possibility whatsoever at 1 am:). 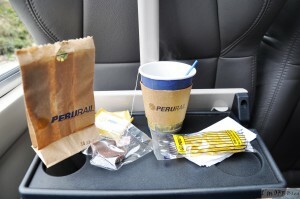 Tickets for the train can be ordered online – https://www.perurail.com/. Unfortunately, this is not a small expense – one way ticket price starts from $50 per person. But yet travelling is quite comfortable, cars are equipped with glass roof to make it even easier to admire the views. The staff serves a complimentary little something to eat (drink + small snack). Peruvian music is played in the background, which kind of makes lasting 3.5 hour journey even nicer. Another town from which you can reach Aguas Calientes is Ollantaytambo – price slightly lower, but first you have to get to Ollantaytambo (e.g. by bus). It is worth buying train return tickets well in advance as the seats are being sold out in the blink of an eye. Entrance to the station is possible only upon presentation of a valid ticket so you can forget about a nap at the Station. For everyone who has a bit of spare time I recommend hiking, so called Inca Trail. Aguas Calientes is a typical tourist town with pubs, restaurants (with various strange dishes such as fried bats), souvenir shops etc. Generally, finding accommodation should not be a problem, but it’s better to book in advance. The biggest attraction are the thermal waters where, after climbing Machu Picchu, you can relax. Maybe there are not thermal waters we, Europeans, are accustomed to (3 pools with a crowd of people in), but after a busy day they are as good as gold. After a short stay at the hotel and a quick cold shower we are going to the city where at every turn we are offered „coca” (do not confuse with cocaine!). A coca in the form of tea, sweets and cakes is easily available on just any stall. In the morning I am hitting the road, unfortunately the weather is not helping, it’s rainy and foggy, but I don’t give up and I’m rushing to the bus stop where dozens of tourists are already waiting. The bus driver shows that off-road driving is not unfamiliar to him and takes each and every sharp turn with a dizzying speed at an altitude of over 2300 meters. Generally, after a moment I regret not covering these few kilometers on foot. Remember to take water with you because nowhere in the area (except at the entrance) you can buy it. Just a short trek and the ruins meet my eyes. Unfortunately, the fog is covering them so I walk further feeling like I was walking on clouds. After 2 hours of climbing the fog suddenly disappears and a magnificent view of the ruins of the Incas with Huayna Picchu mountain meets my eyes – amazing. A moment of reflection, short rest before getting to the top of Wayna Picchu, pictures with the llama and I’m on my way. At 10 am I’m standing at the foot of Wayna Picchu, putting my name down in the visitors book and, full of motivation, I move on. At the beginning, the trek is easy and the views – divine. Suddenly it starts raining lightly thus climbing begins to be difficult, it’s slippery… In some places you have to pull the line slightly, in other „stairs” are so steep that you literally need to climb. Well, all the time there is a precipice next to you, and paths are terribly narrow… It was a nerve-racking experience to be honest. Half-way to the top I was nothing but a bundle of nerves but I was not alone in this. It is typical of such places to establish peculiar bond with other travelers. Interestingly, nobody turns back. Fighting with myself, almost having tears in my eyes, I reached the summit. Frankly speaking, I don’t know what I felt at that moment, satisfaction or still fear? And how am I supposed to go down now? I must have looked very scared because the guard of this place looked at me rolling his eyes and said: oh… amiga amiga. By the way, he has to cover this trek every day and then sits for hours on a rock at the top of the world reading a book. In fact, there are professions in this world we have never even thought of. The view from the top over the city of the Incas is a reward in itself. In just a second it allowed me to forget about the way back, so it’s really worth it! 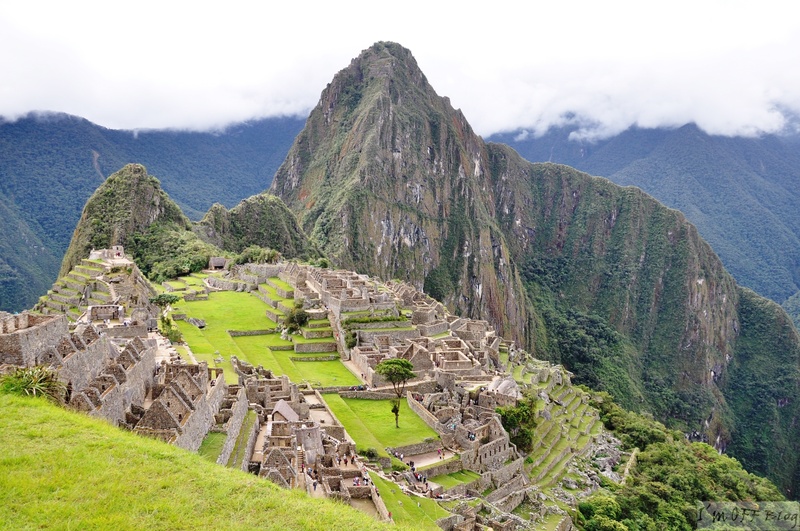 Machu Picchu is a mystic place – a dream or destination for many world travelers. It exerted an incredible impression on me. The ruins surrounded by mountains seemed outright surreal at times. This is a very intriguing place which hides numerous secrets and gives you food for thought. I hope I could inspire you with my story to visit Machu Picchu. It is a very emotional visit which will certainly move each one of you. If the Incas city is not yet on your travel list, PUT IT IN THERE! And you have my word, you will not regret visiting this magical place! All man must live in Machu Picchu for some time! Over there, you will be closer to the universe and you will realise how trivial you are in this chaotic cosmos. Science is the only power which will make you bigger and significant in this universe! I am the author and thus have a right to all the presented photos. I’m going to Machu Picchu next week, it’s my first international trip ever! I’m looking forward to it!